A miniature dachshund that wasn’t so miniature lost almost 80 percent of his body weight through diet, exercise and the help of his owner, who has launched a fund to help other overweight pets do the same. When Columbus, Ohio, resident Brooke Burton, saw that her relative’s wiener dog, Dennis, was tipping the scales at 56 pounds in June 2013, she assumed ownership of the portly pooch. 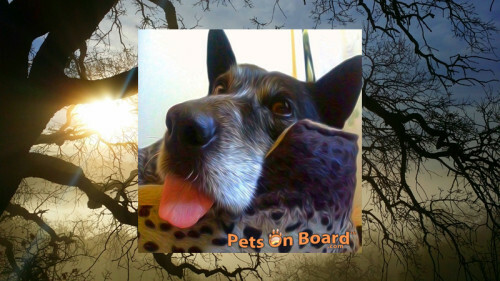 In addition to putting an end to the dog’s snacking on burgers and pizza — limiting his diet to dry dog food — the nursing student also made a point to take Dennis on walks and show him lots of affection. Burton’s approach appeared to be slow and steady. If there’s a downside to losing so much weight, it’s that Dennis wound up tripping over his excess skin folds, so, he underwent multiple surgeries at a cost of “about $1,000 each, if not a little more” to remove them, Burton wrote. With a new leash on life, Dennis is just the latest canine reclamation project for Burton, who owns three other rescue dogs: Riley, a 6-year-old English chocolate lab; Sophie, a 10-year-old American chocolate lab, and Kendall, a 7- or 8-year-old Yorkie/terrier mix. But, on a smaller scale, seeing Dennis thrive is its own reward, she added. 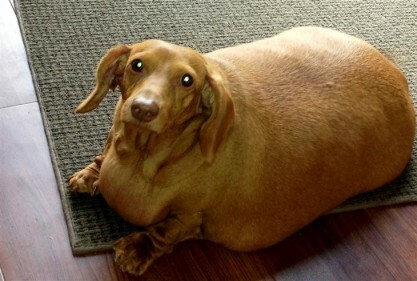 via Dachshund on a diet: Obese Ohio pup loses 80 percent of body weight – Pets & Animals – TODAY.com.